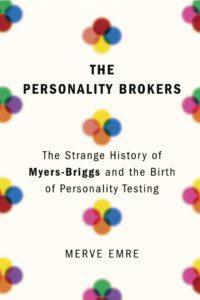 We all know the Myers-Briggs Type Indicator (MBTI ) even if we may never have taken it ourselves. We may have described our child as “she’s such an introvert. She won’t play with other children.” We may have applied for jobs and taken a behavioral quiz judging our ethics, inter-connectivity, and general attitude. (“Do you think rules should be followed at all costs?”) We might be entertained by the various personality quizzes on Facebook matching us to fictional characters. (“What house would you be sorted into at Hogwarts?”) Lately, Screen Rant has devoted a whole series to matching various fictional groups such as the characters in the How to Train Your Dragon franchise or the Disney Princesses to their MBTI type. (Belle from Beauty and the Beast is an INFP as is Hiccup from Dragon.) We are surrounded by people who want to define us by determining the type of worker, lover, spouse, parent, or child we are. The Myers-Briggs personality type test and the MBTI provide a handy chart for that. The indicator contains 93 several questions that ask about behavior and preferences. (“If you go to a party do you usually A. Stand in the corner B. Make small talk with a select group of people C. Mingle with various guests. D. Serve refreshments.”). The various levels include Introvert/Extrovert, Intuitive/Sensate, Thinking/Feeling, Judging/Perceiving. Using these opposites, the indicator identifies 16 personality types. While the MBTI has its followers, it also has its detractors as well. There are many who compare them to astrological signs where the personality descriptions are so vague that they could refer to anyone. These are just educated guesses that no more tell about a person than a parlor game. Many think that people shouldn’t be put into tidy boxes that say a person is one or the other, that personalities are fluid and spill into different types. A person may like to read at home but work in customer service so they have to meet people. There are also concerns how accurate that the indicator actually is to personality. Merve Emre, author of the book The Personality Brokers discovered this when she began working for the Myers Briggs Foundation. She was taken through several sessions where she and other workers were told “the personality never changes.” Emre and others knew people who had taken the indicator (not test) and received one result only to take it again to get a complete different result. They can go from an INTJ to an ESFP. However one must take into consideration, that the MBTI shows preferences. You may have to be an extrovert at work, so you adapted, but when you go home do you like to go drinking with friends or unwind at home? Preferences aren’t always a hard science, but they show how you try to shape the world around you, how you get along with people, how you make goals, how you express yourself, and how you receive and translate information. Emre’s book also covers the creators mother and daughter, Katherine Cook Briggs and Isabel Briggs Myers. Neither of the two were licensed psychologists. Of course there were few male psychologists until Sigmund Freud and Carl Jung among others gave the field a more professional and humanitarian approach. Briggs and Myers instead were authors and amateur psychologists who were fascinated by psychiatric research and implemented it in their child-rearing practices. Katherine Cook Briggs (1875-1968) reared her daughter Isabel (1897-1980), as many parents in the late 19th-early 20th century with a lot of scientific theories and experiments. Briggs practiced different theories with Myers such as what she called “No! No!” drills where Briggs put her in front of glass objects and chant “No! No!” so she would learn not to touch them. She also wrote stories she called “Myths” explaining scientific concepts such as how dew is formed and where fire comes from. Briggs’s experiments with young Isabel captured the interest of other parents so she tested other children’s capacity for curiosity and obedience and wrote notes on her studies. She also wrote a series of magazine articles about her child-rearing practices. This background shows that even though Briggs did not have the degree, she certainly had the curiosity and the analytical mind to study psychology and personality. While Myers was an obedient child, she became quite rebellious as an adult. She married Clarence Gates Myers, a Leftist and flirted with Socialism. Like her mother, Myers also studied personality types and took notes on her friends and acquaintances such as “thinking type,” “hot-headed,” “religious” etc. at Swarthmore College. While Myers settled into married life, Briggs read the works of Carl Gustav Jung. Jung’s book Psychological Types was the early precursor to the MBTI and showed many of the opposites that the mother-daughter would implement such as “Introverted/Extroverted,” “Intuitive/Sensate,” and “Thinking/Feeling.” They later created their own indicator based on Jung’s work and changed it adding 16 types to Jung’s 8 and including “Judging/Perceiving” as options. Briggs developed a fascination for Jung that was almost obsessive, even infatuation. According to Emre, she referred to him as the “Man from Zurich” as though she felt unworthy to call him by name. She also defended Jung from his detractors practically considering his works the alpha and omega of psychoanalysis. Emre explores how because of their amateur psychologist status, Briggs and Myers overreached themselves and got too involved with many people’s lives. One chapter describes Briggs helping Mary Venables Tuckerman, a rebellious young woman by interpreting dreams and analyzing her personality. However, Briggs’s involvement in the girl’s life became intrusive to the point that her parents wanted to cut ties between them. When Tuckerman’s psychological problems increased, instead of accepting blame Briggs heaped shame on the girl’s parents, saying that they should have known better than to let their daughter be treated by Briggs, who was not a certified professional. However, the MBTI barely needed the work of professionals to catch fire when it became a focus for businesses and the military. During WWII and afterwards, Myers was involved in implementing the MBTI to various branches of military intelligence including the OSS to provide profiles for recruits, spies, and potential dissenters. In 1960, a group called the Educational Testing Service was formed to create MBTIs to be administered to various individuals, businesses, and organizations. Myers worked for the ETA until disagreements with some employees and her mother’s ailing health forced her resignation. Briggs and Myers died in 1968 and 1980 respectively but not before they saw their type indicator change psychology and popular culture forever. In her final chapters, Emre recounts the bad and the good of a world shaped by those 16 types and those neat little boxes that offer two options and leave no room for others. She describes the life of a theoretical child born to parents who observe her early development, educated by teachers and other professionals who offer a lesson plan based on her preferences, fitted with a career and given a partner who fit her type, then having children and grandchildren whose early development that she observes. At what point, Emre asks, does this person stop being a type and start being a person? While Emre finds a lot to deride about the MBTI, she also finds many supporters. People told her how the tests helped connect them to the right jobs or understand why they and their lovers are incompatible. They also learned about the type of people they were and how they thought, felt, and functioned. While the MBTI is flawed, it gives us one of the many pieces of the jigsaw puzzle known as the human personality and helps us learn at least a few things about who we might be.